Christ once said let he who has no sin cast the first stone. The topic of the next few posts will be about minority native treatment in China and America. As I have done before, I will compare China to America. This post will focus on the United States with some historical background. Atrocities abound in the history books concerning treatment of Native American Indians during the sixteenth to nineteenth centuries. The Spanish destroyed the Aztec and Inca civilizations with disease and warfare. The Catholic mission system in California enslaved American Indians. 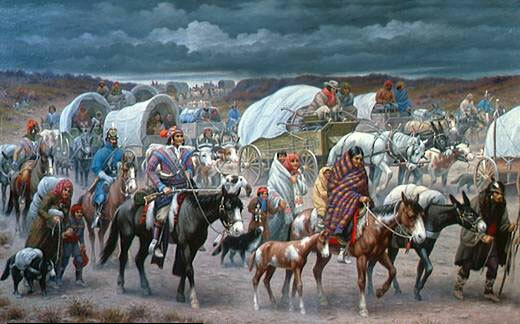 After the Civil War, the United States military was sent west and drove North American Indians from the land they had lived on for thousands of years and slaughtered men, women and children—millions died. Today, many of the surviving natives live in horrible poverty on reservations. It is always good to have the facts before passing judgment, and history counts. This entry was posted on Monday, February 15th, 2010 at 16:00 and is filed under America, American culture, China, Chinese Culture, Christianity, government, politics. You can follow any responses to this entry through the RSS 2.0 feed. You can leave a response, or trackback from your own site.